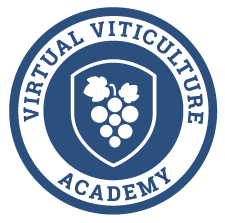 Virtual Viticulture Academy Field Courses are fun, interactive half-days in a vineyard learning hands-on with other grape growers how to improve your vineyard management skills. Members attend for free. A limited number of non-member spots are also available for purchase; purchase below or become a member today. Followed by wine, refreshments and more Q&A with Fritz. Plan a weekend trip – click here.